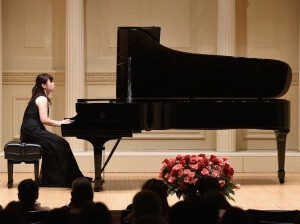 Chia-Ying Chan, originally from Taiwan, has given solo performances and recitals across Taiwan, America and Europe, including at Carnegie Hall’s Weill Hall in New York and international festivals such as the Shuan-yin International Music Festival in Taiwan, the Piano Summer at New Paltz in America and the Gijón International Piano Festival in Spain. She invests herself in musical communication; press from her solo debut in Taiwan reported “… her passionate interpretation and emotional range led audiences into the composers’ fantasy world…..”. Chia-Ying has won top prizes in competitions such as the 2014 West Virginia University Keyboard competition (First Prize), 2014 American Protégé International Competition of Romantic Music (First Place), and the National University of Tainan (NUTN) Concerto Competition in Taiwan (Winner). She made her orchestral debut with the National University of Tainan Symphony Orchestra in Beethoven’s Piano Concerto no. 1 in 2006, and received an Exceptional Merit Award from NUTN in 2007. 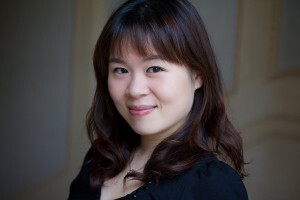 In addition to performing solo piano works, Chia-Ying has been an active collaborator in both chamber and accompanist settings. Her repertoire encompasses a wide range of works including composers from the baroque to the present. Chan is currently a Doctor of Musical Arts candidate at the University of Illinois at Urbana-Champaign. Her principal teachers have included Timothy Ehlen at UIUC, and Paul Schenly and Kathryn Brown at the Cleveland Institute of Music, where she received her Master’s degree. She earned her Bachelor of Music in Taiwan, where she studied with Ching-Jen Wu.